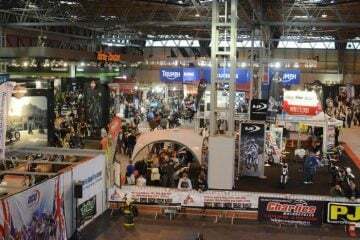 Intermot 2018 is well and truly underway. 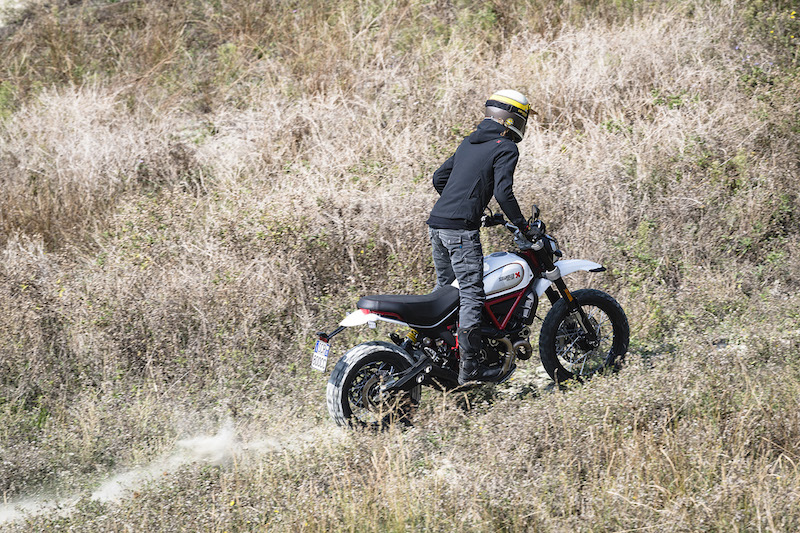 We received some early bike announcements last week, and now Ducati has helped get proceedings underway by revealing its new 2019 Scrambler Desert Sled. 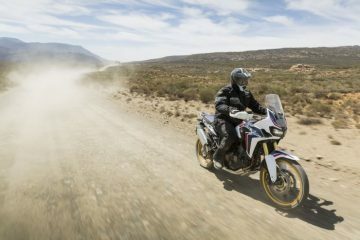 The Desert Sled was first launched in November 2016, and it made ABR founder Alun Davies seriously consider a purchase, as he talks about in his full review, but a new, updated version is now on the cards for next year. It seems that it’s a case of evolution rather than revolution, with a number of small updates being announced. For one, the daytime running lamp (DRL) has been improved, while the LED indicators now turn off automatically. The motorcycle also comes with a new frame (coated in red), which has been reinforced for off-road use, as well as a new 860mm seat. Some of the handlebar controls have been redesigned to make navigation easier on the updated LCD clock unit, and this now displays the fuel level and gear indicators. Media connectivity is also a new addition, allowing you to listen to music, take calls, or talk with your pillion through an intercom. Ducati has promised a much improved riding experience, with rider safety further enhanced thanks to the latest version of Bosch’s ABS system which, coupled with an inertial measurement unit (IMU), means cornering ABS is now included. There’s still no traction control, though. 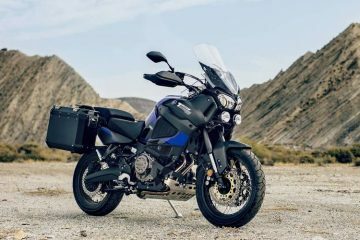 In order to be more off-road friendly, the bike comes with a high front mudguard, extended rear fender, adjustable Kayaba suspension and a homologated grid across the front light. 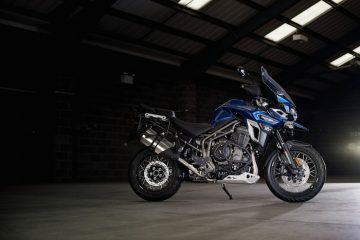 The Pirelli Scorpian Rally ST tyres come as standard, offering a “balance between off-road and enduro street performance”. Rounding out the updates, the clutch cable has been upgraded to hydraulic to allow for a softer, more user-friendly feeling. Ducati has the full specification outlined on its website. 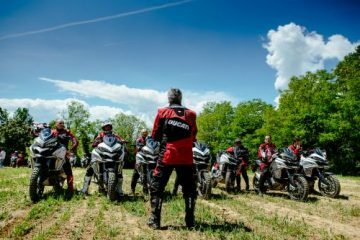 Since 2015, when Ducati started to produce Scramblers, the company has seen plenty of praise and sales come its way. During the press conference at Intermot, CEO Claudio Domenicali took the opportunity to share the news that Ducati’s Scrambler range has now gone on to sell over 55,000 units worldwide. Alongside the Ducati Scrambler Desert Sled, the company has also revealed two other new additions to the Scrambler line: the Full Throttle and Café Racer. 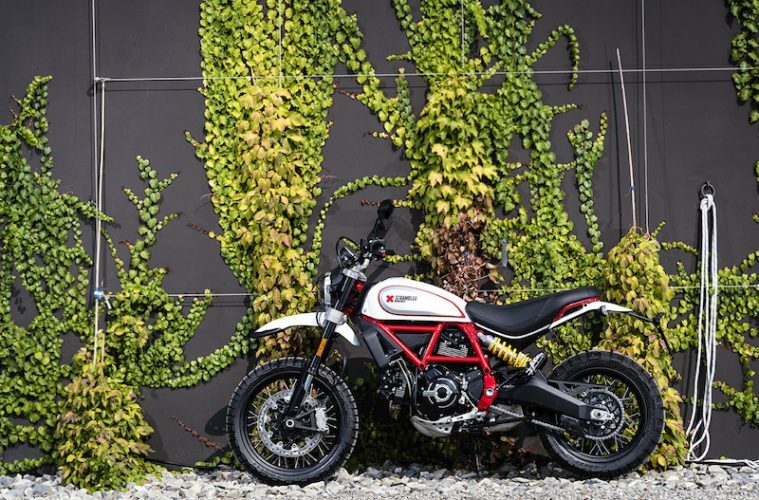 Part of the 2019 range, these three bikes will join Ducati’s Scrambler Icon as the firm hopes to continue its recent success with the range. At the time of writing, the specific release date and pricing structure for the new Scrambler family is yet to be announced. As soon as we know anything, we will of course inform you. 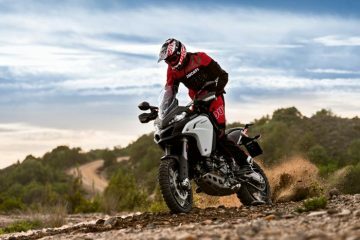 What are your thoughts on the Ducati’s new Desert Sled Scrambler? Would you be interested in picking one up? Let us know your thoughts.